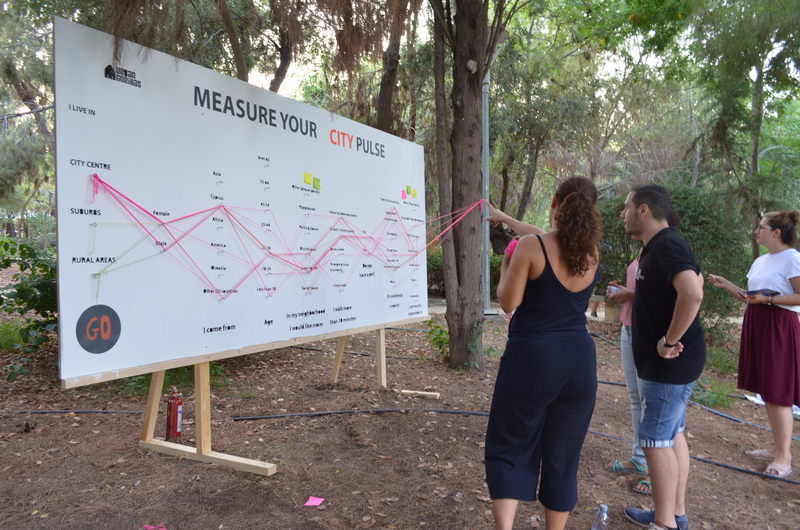 Driven by transforming unused public spaces and with an interest in exploring city planning and how citizens interact with it, we took part in ONEK‘s It’s Up to You(th) festival 2017. 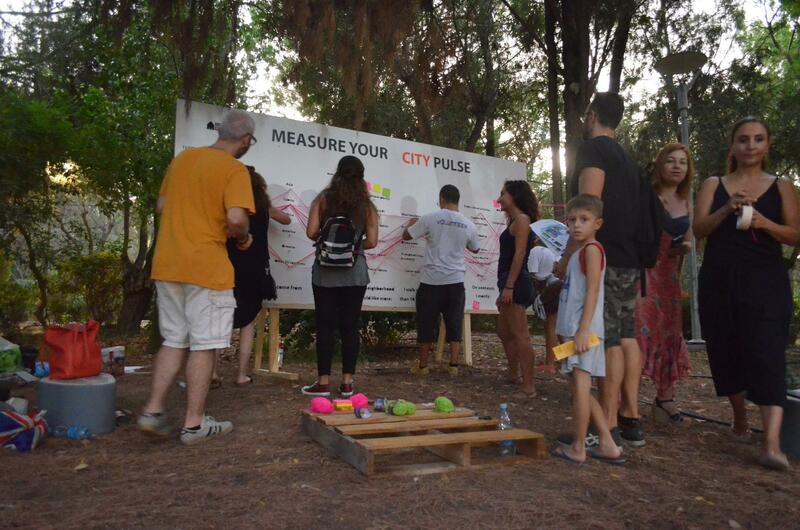 This passing September 16th, we put on our thinking hats and took our urban tools to Akropolis park in Nicosia. 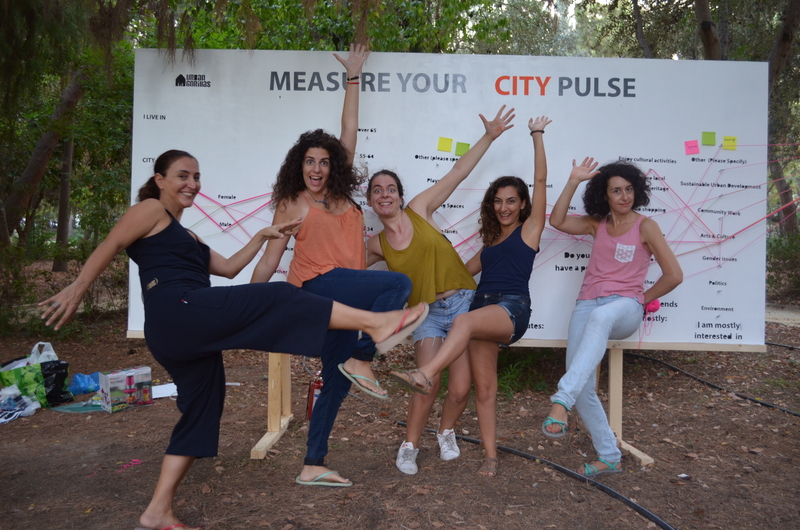 Converting an area of the park into a green living room made of palettes and the organization’s custom-made cushions, we turn in our kiosk stand for a more creative and interactive space. 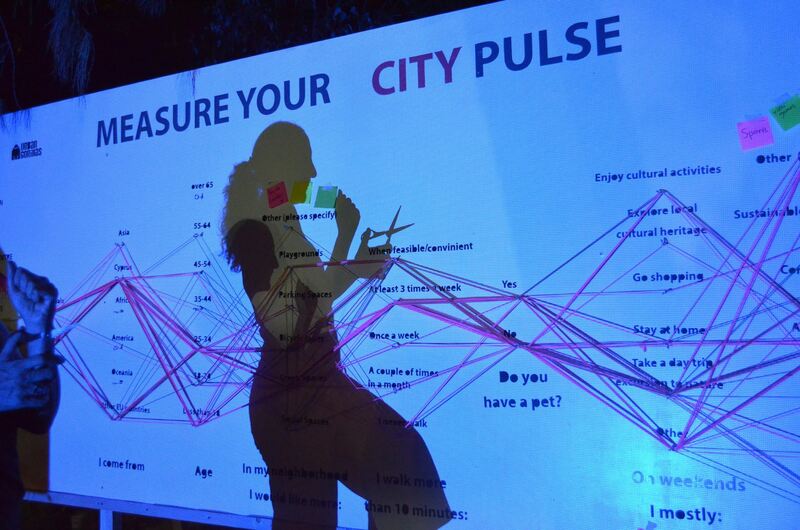 Wanting to collect data about living in the city, Urban Gorillas constructed the ‘Map Your City Pulse’ board, where passerby’s were invited to participate in this interactive and visual installation-questionnaire. 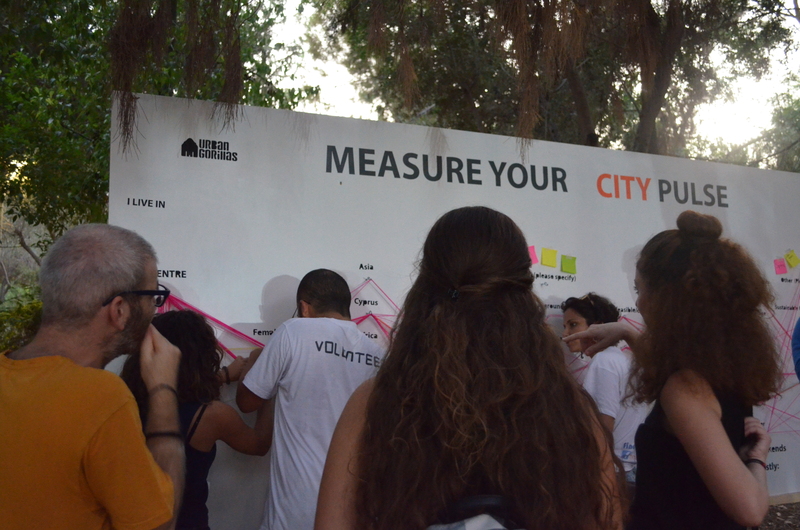 By mapping their answers on the board, we were able to document how they interact with their city, what they desire from their surroundings and note the geographical residents that were eager to take part. 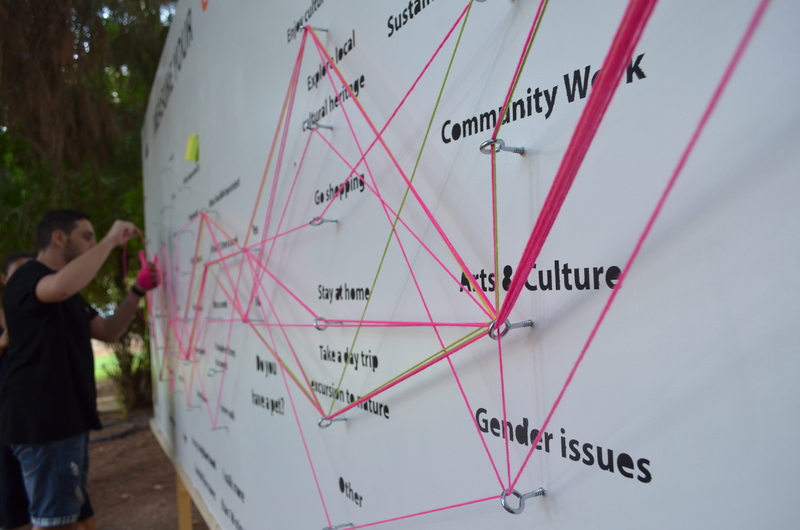 In the spirit of the fair, visitors were offered a taste of our work and interactive actions through this installation board which also turned in a playful shadow performance. 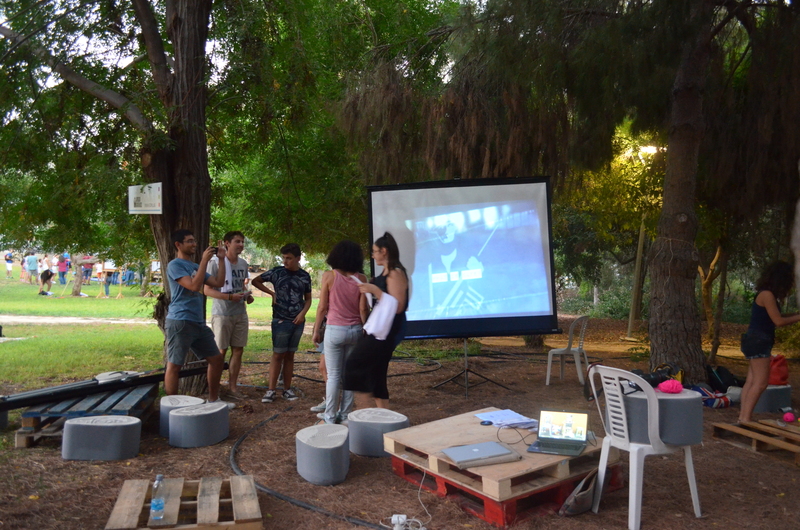 A few weeks later, our board travelled to the Let’s Play Art in the Park contemporary arts exhibition to intermingle with other citizens and re-generate the green area. 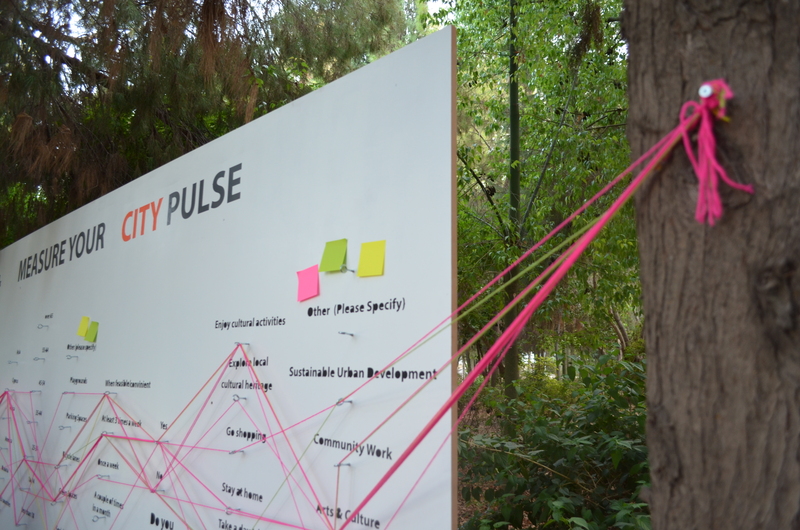 Of the exhibition, our installation was the only piece that was participatory, and people enjoyed an artful walk in the park, mapping their city. 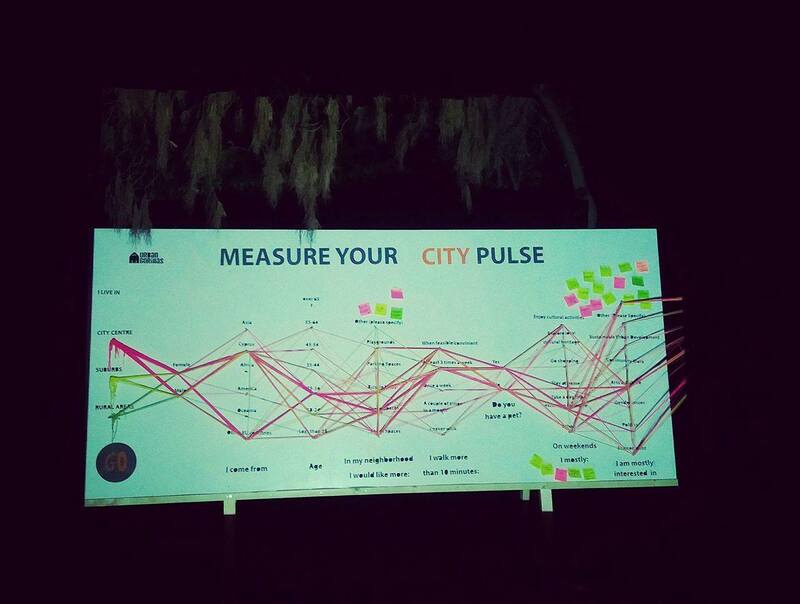 A big thanks to CYMAR Market Research Ltd. for the consultation on data collection. 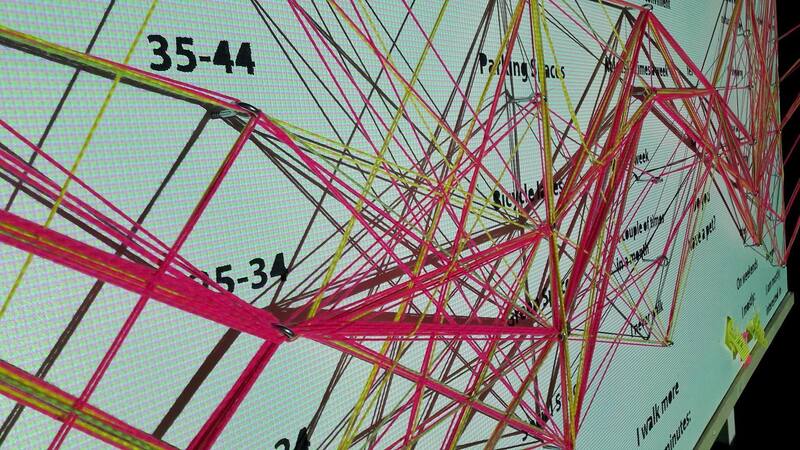 Idea inspired by Domestic Data Streamers.